Expo 2020 Dubai’s has awarded grants worth more than AED 1 million (US$272,000) to three UAE companies as part of its Expo Live programme. Smart Labour, the International Centre for Biosaline Agriculture (ICBA) and Ver2 Digital Medicine are the recipients of Expo Live’s Innovation Impact Grants, with all three companies using the funds to support initiatives that improve lives. Smart Labour is a digital learning and smart services platform that provides voice-enabled content to educate blue-collar workers in their language and provide them with useful smart services. “There are 2.2 million blue collar workers in the UAE and about 16.5 million workers in the Middle East, and most of them are not connected to the smart world. In life, they face many challenges due to the lack of, and barriers to, education. As a result, they are unable to express themselves well, which has a direct effect on their productivity, happiness and overall contribution to the economy,” explained Smart Labour founder Abu Muadh. The Dubai-based International Centre for Biosaline Agriculture (ICBA) is a non-profit agricultural research centre established in 1999 with a mandate to develop agricultural production systems using marginal land and water resources that are available in desert environments. The grant from Expo Live will support the development of inland and coastal modular farms in the UAE. Ver2 Digital Medicine is an eHealth Services Platform that uses connectivity to solve healthcare’s biggest challenges. Expo Live is giving Ver2 a grant to support the development of an innovative medical education model that is being replicated across Africa. 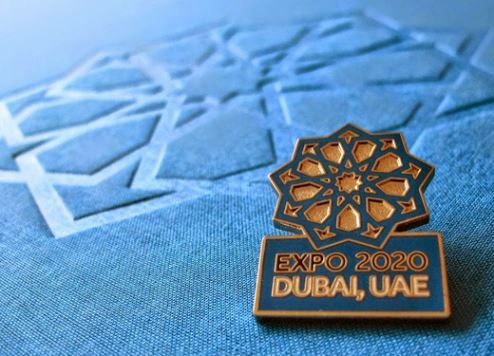 Expo 2020 Dubai’s vice president of Expo Live, Yousuf Caires said the grants were a manifestation of Expo’s theme, ‘Connecting minds, Creating the Future’, in action.